Some of the older children in the Kutwanana programme have now graduated from secondary school. They are the future leaders of the work and in the local churches. Without some assistance, they face the struggle of not being able to get training and move into serious employment. The purpose of this partnership is to give scholarships to key young people to assist them with their post secondary school training. 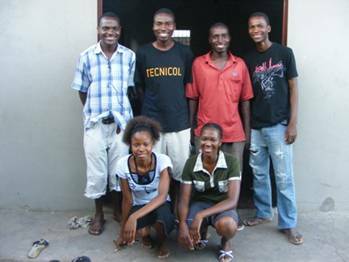 For a number of years Patrick and Grace Mulenga have been working in the Machava compound, a seriously large and desperately poor area of Maputo. A number of the children have been assisted through school and have done very well. Some have now finished secondary school and need to go on to further training. Many of these young people have been in the programme for a long time and have become significant contributors to the younger children. Most are now in training and they spend a lot of their spare time teaching and mentoring the younger children. The beneficiaries are the young people selected to receive training scholarships. Each year key young people will be selected. Patrick and Grace Mulenga are Zambians. 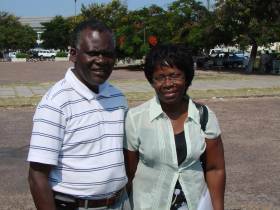 They left Zambia 17 years ago and after three years in Zimbabwe came to Maputo to plant a new church. Since then they have been developing a ministry in the suburb of Machava. Their first priority has been the establishment of a strong church base in the community and there are now two other preaching points set up in other parts of the city as well. However the Kutwanana home based care partnership takes most of their time and energy. To give scholarships to as many young people as possible. These young people are selected annually. Some will do long courses, 3 – 4 years and others shorter courses. The budget will vary from year to year up to $US3,300 per year. There are 6 beneficiaries in 2011. 1) Mario Nunguiane is in the second year of university. He is in the second year of five to finish his degree. The cost for the year is $400. The university semester opened in February. Mario is 24 and he is in second year university doing Chemical Engineering. 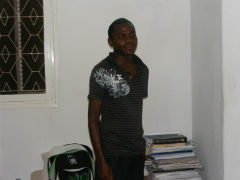 He was abandoned together with his elder brother and younger sister by his father and moved to Maputo with his mother. The younger sister died while the elder brother was very sick suffering brain damage, leaving Mario alone. It took Mario 11 years to get to Grade 7 in 2003. In 2004 he came into the orphan sewing program. He was brilliant and in 2005 they encouraged him to go back to school in Grade 8. In that same year he gave his life to the Lord. He has proven to be good academically, and he is a Bible teacher. He is a blessing in the church and among the young people. 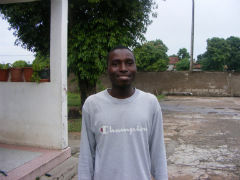 Raimundo is 21 and he is doing the first year of an accounting diploma obtainable in two years. He has a father and mother but they are poverty stricken. He came to know the Lord in 2002 at the age of 12 in the Sunday school in Patrick and Grace's garage. He finished high school in 2009. In 2010 he did prison ministry with Patrick until March 2011 when he was accepted to accounting school. Aulina is 22 years of age. Her father died in a car accident when she was seven and her mother is chronically sick. It was initially thought her mother was HIV+ but results of tests in 2004 were negative. 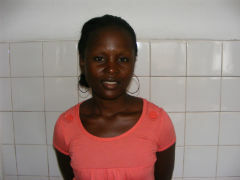 Aulina was a happy girl and in 2005 she was included in the church project sponsoring her to continue school. She completed high school in 2008. During this time she gave her life to the Lord and confessed publicly how hard life could be but the Lord through the church came to her rescue. In 2009 she was involved teaching orphans at the church mission centre and in February 2011 was accepted into the college doing first year accounting. It is a three year course.